The IAOPA Europe newsletter is sent out approximately every second month keeping you up-to-date about General Aviation in Europe. Your privacy of course is guaranteed and you can unsubscribe anytime with one click on the unsubscribe link in the newsletter. IAOPA Europe has more than 15.000 members. Belarus and Belgium active again. Take a look at the upper right corner of this webpage and just enter your email to sign up to receive the IAOPA Europe Enewsletter. Every second month you will then receive our Enewsletter keeping you up-to-date about General Aviation in Europe. There is agreement that Europe has no statistical data about the General Aviation (GA) fleet which would allow profound safety and economic analyses. So far most analyses in GA depend on estimates and expert judgement, which is far from being ideal and one of the main reasons for a high level of overregulation in the GA industry. In the USA such data exists, generated by both the FAA and the GA User Associations, consequently the NALL-report as well as other Safety Analyses and Economic Impact Assessments can be based on statistical facts. This survey was created in order to collect meaningful statistical Data for European GA. IAOPA made a first attempt in 2014 with good success, about 1500 operators and 3500 pilots replied. This data, however, is outdated, and geographically it covered mainly the European Core Area, so it´s time for a new initiative, which we started in a cooperation with the associations EBAA (European Business Aviation Association) and GAMA (General Aviation Manufacturers Association). It will take you 10 – 15 minutes to fill out the survey. If you don´t have the precise figures at hand, your estimates are sufficient. For operators which operate a fleet of different aircraft types, we recommended to run the survey for each aircraft type. If more than one aircraft of similar type is operated, the survey can be executed with average data for these aircraft in order to save time. For questions you can contact us under info@aopa.de. Your data will be protected and only be shared with other GA Associations, European and National European Authorities, which will have confirmed to meet the requirements of the European General Data Protection Regulation (GDPR) and to use it solely for Safety and Economic Analyses. Your data will not be given to other third parties. We intend to create a representative sample of aircraft operators in order to do a continuous trend-monitoring. If you intend to participate in this project, please give us your contact-data at the end of the survey. Thank you very much for your time and effort. With your support, you are helping to make General Aviation safer and more economical. Members in the following countries can already now contact Jeppesen directly to take advantage of the offer using their AOPA membership number: Cyprus, Denmark, Finland, Germany, Netherlands, Norway, Poland, Russia, Sweden & Switzerland. Members in other countries should first check up with their national AOPA to make use of the offer. GA-Desk - is your country following EASA regulation? Hard work by IAOPA European Region over the last few years has substantially changed the direction of EASA's rule-making after realizing that they had over-regulated the industry. New legislation that has the potential to ease that burden is now in force with more in the pipeline. IAOPA has recognized the numerous achievements by EASA and continues to work to create a better regulatory environment for general aviation in Europe. But evidently that word is not getting down to some of the National Aviation Authorities (NAA's) that are tasked with implementing EASA's regulations. The result is that flying in many places in Europe has seen little, if any, relief from many of EASA's efforts. You can also download the questions as a pdf or Word file if you want more time to consider your reply. The completed Word document can be sent to iaopa@iaopa.eu. By gaining a better understanding of where the problems are, and creating an open exchange of information, the IAOPA GA Desk initiative will assist national AOPA's to resolve their national implementation issues and work to eliminate them. The information collected will also be passed on to EASA to help them identify deviations and provide better guidance to the National CAA's. Pay attention to the requirements for the selection of alternates since these requirements may have changed for pilots in many countries. Basically, the requirement is that the destination OR alternate must be 'weather permissible' meaning at or above the operational minimums at the time of intended use (ref. NCO.OP.140 and NCO.OP.160). If the weather at the destination is forecast to be VMC from one hour before to one hour after the expected time of arrival no alternate is required. Note that the RVR requirement for take-off may be a bit hard to deduce since is not directly mentioned in part NCO. The minimum for most GA pilots will be 400m RVR for take-off since you will need a specific Low Visibility approval in order to go below this limit for take-off. Note that this this is quite a but more restrictive than it has been previously in many countries. For landing a Low Visibility approval is required to go below 550m RVR and further guidance on RVR is found in GM4 NCO.OP.110. As guidance material this not binding, but surely a good starting point. If the State has published a minimum RVR for a procedure this must of course be respected as 'State minima'. Operators of complex aircraft like for instance small jets and aircraft over 5700kg are now required to file a declaration and have an operations manual and a management system. Particularly for the very small operator with maybe just 2-3 persons involved in the flight operation this can be a challenge. To help these operators IAOPA Europe has published a template for an NCC Operations Manual which is written from the ground up with the intent of fulfilling all relevant requirements in Part-NCC and Part-ORO in a simple way that is suitable for the very small NCC operator. Link to EASAs consolidated version of the OPS regulation from May 2016 incl. EU Reg. 965/2012. Careful! The above document is 1683 pages. For non complex aircraft Part-NCO applies. For complex aircraft Part-NCC and Part-ORO are the applicable parts. Link to the latest ammendment of the OPS regulation from July 2016. This ammenment contains important alleviations regarding for instance oxygen requirements, an exemption for twin-turboprops below 5700kg so they can operate according to Part-NCO and removal of the requirement for an operator to have a special approval for PBN operations like GPS & LPV approaches. What is the difference between regulation, AMCs and Guidance Material (GM) - what do I need to follow? The regulation is the legally binding law that you must always follow. If you follow the Acceptable Means of Compliance you are certain to comply with the law. The regulation however also allows you to create your own Alternative Means of Compliance (AltMOC). This must be compliant with the regulation. For non-commercial operations with a complex aircraft (NCC) you must submit your AltMOC to the Competent Authority as stated in ORO.GEN.120. An approval of the AltMOC is not required but the Competent Authority must review the AltMOC and forward it to EASA. For non-commercial operations with non-complex aircraft (NCO) there is no requirement for you to submit your AltMOC to an Authority since Part-ORO does not apply for NCO operations. IAOPA Europe is happy to finally make available a template for an NCC Operations Manual which is written from the ground up with the intent of fulfilling all relevant requirements in Part-NCC and Part-ORO in a simple way that is suitable for the very small NCC operator with maybe 2-3 persons involved in the flight operation. Through an extensive use of references to relevant regulation and appendices the core Operations Manual is kept down to around 20 pages. Further, the most common variable items are all listed in the "Operator's Reference" section at the beginning of the manual. This should make the implementation quite an achievable task even for a small NCC operator. For larger corporate operators please refer to the more extensive NCC Ops manual that was previously released and can be found just below. It revises medical standards and introduces several important changes. One alleviation that IAOPA has been pushing for is solving the issue that for instance a CPL holder today cannot legally excercise the PPL privileges of his license unless he holds a class I medical. (b) An applicant for a Part-FCL licence shall hold a medical certificate issued in accordance with Part-MED and appropriate to the licence privileges applied for. (4) commercial pilot licence (CPL), a multi-crew pilot licence (MPL), or an airline transport pilot licence (ATPL), the pilot shall hold a valid class 1 medical certificate. This solves the issue for the CPL and ATPL holder but forgets the PPL with respect to a LAPL medical. Since the CPL and ATPL has full LAPL privileges (FCL.305 and FCL.505) a commercial pilot can downgrade to a LAPL medical and happily excercise his LAPL privileges on his commercial license. A PPL holder however cannot do the same thing since for unknown reasons (probably forgotten when the LAPL was introduced) the PPL has no LAPL privileges (FCL.205.A). The consequence is that where a CPL holder can fly with a LAPL medical the PPL holder must have at least a Class II medical for the same operation. This makes no sense and IAOPA will push to have this problem resolved before the new rules goes into effect. As of August 25'th 2016 all operators of complex aircraft in Europe will be required to comply with the new Part-NCC requirements. IAOPA has from the beginning worked to exclude particularly the very small operators from these requirements since they are not suited for a small organisation with maybe just one or two persons involved in the operation. Recently the EASA Committee has decided in favour of excluding turboprop aircraft with a MTOW of less than 5700kg. Operators of these aircraft will therefore NOT be required to submit a declaration and associated requirements for a management system and OPS manual. For an overview of the requirements for operators of Non Complex Aircraft please consult the dedicated NCC page at the EASA website. In order to assist those operators who are still subject to the new requirements IAOPA has together with EASA, national aviation authorities, ERAC and other Industry representatives worked to develop a template manual. This can be freely downloaded and modified by the operator. The template manual has been developed with a medium-sized NCC operator in mind. Work is still ongoing to also present a manual which is more tailored to the very small operator. Please note that you will have to work through the template and adjust so that it suits your operation. Also note that for a non-commercial operator your OPS manual does not have to be approved by your aviation autority. In fact you are not even required to submit it when you file your NCC declaration. However, you must have it available and be able to show compliance when you have an audit inspection from your authority. The template manual is build on the principle that it includes more than what is required for most operators. It should therefore be possible to shorten it down considerably when you work your way through it and adapt it to your operation. Be sure to remove sections and procedures which do not apply to your operation so that the manual describes the way you actually operate. Otherwise you are making your first compliance audit harder than it needs to be. The manuals are made available free of charge but financial contributions to support IAOPAs European activities will be much appreciated. Please contact iaopa@iaopa.eu for details. 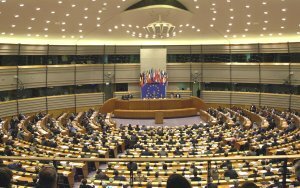 The European Parliament has given general aviation its biggest boost in modern times with the adoption of a resolution which guides the EC and member states to adopt a raft of principles which would preserve, foster and promote GA across Europe. Resolution 2008/2134(INI) sets out the importance of keeping legislation in proportion, recognising the differences between CAT and GA in setting fees and charges, ensuring that GA has access to airports and airspace and accepting that GA has a vital role to play in Europe's transport infrastructure. The resolution, adopted by a huge margin - 524 votes in favour, 74 against and six abstentions - now forms the basis of the European Commission's approach to general aviation. The Commission is in turn the boss of EASA, which will find it very difficult to ignore the new landscape for GA. In addition, national AOPAs can now use it in negotiations with their own CAAs to ensure that GA is treated fairly. The full document can be seen by clicking on this link. It includes 35 clauses, each of which represents a major breakthrough for GA, addressing nearly every major issue impacting on general aviation today; access to airfields and airspace, proportionality in regulation and charges and appropriate technology requirements. It calls on the EC to recognise the important role that GA plays in the training of professional pilots. The resolution had its genesis in a meeting four years ago between European Aviation Commissioner Daniel Calleja di Crespo and a three-man IAOPA delegation at which the need for action on European legislation affecting GA was discussed. MEPs like Timothy Kirkhope from the UK and Arunas Degutis from Lithuania, both pilots, have been active in canvassing support. IAOPA is having the document translated into every European language and distributed to authorities across the continent. IAOPA Europe is the European branch of The International Council of Aircraft Owner and Pilot Associations (IAOPA). IAOPA has represented international general aviation for nearly 50 years.